A spokesperson for Panasonic has said that he believes that professional photographers are interested in using compact system cameras, but only if the quality is right. Currently, the majority of compact system cameras sold are aimed either at beginners stepping up from compact cameras, or enthusiasts looking for something more advanced. However, recently, a number of new mirrorless models have appeared on the market with high end features and a price tag to match. Fujifilm's recent X Pro1 appears to be aimed squarely at professionals and serious enthusiasts, and comes complete with a £1,500 asking price. When asked if professionals are interested in CSCs, Barney Sykes from Panasonic UK told TechRadar, "I think if the quality is there, yes. "The other thing for them that's important is that they've probably got thousands of pounds worth of lenses in their system already, so for them to come to CSC, it's going to have to be something that's really attractive for them." 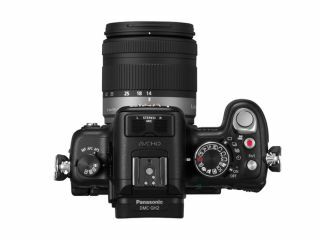 Panasonic was the first company to announce a mirrorless interchangeable lens camera, back in 2008 with its first 'G' series model. "We got a lot of feedback from pro photographers when the GF1 came out," Sykes continued, "At the time it was so unique, there was no other camera available like it that offered such a high quality in such a compact body. "We want to appeal to the same thing with the GX1, but it's really important for pro photographers that there's quality, and it's up to us to get that quality in our cameras." The Panasonic GX1 was announced in 2011 and is seen by many as a "pro" equivalent of a GF model. Recent rumours and leaked images have suggested that a Panasonic GF5 is about to be launched - stay tuned for more information as and when it arrives.